The BCR Games Server, or the Black Country Rock Games Server, is the home to all the custom games designed by Black Country Rock, Shooter Jennings & Bit Sunrise BBS. The server is setup on a dedicated 300mbps internet stream and a dedicated Windows 7 machine running 24/7. 3. Leviathan – Kill the beast, boost your Freedom Train cash! Connect to your BBS by making a telnet link to bcrgames.com port 31337. Connect to BCR Games Server Now! 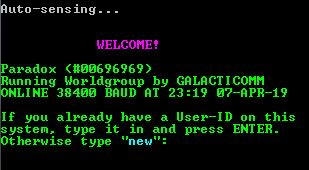 This BBS is using a non-standard telnet port (31337), the web telnet script may not work.